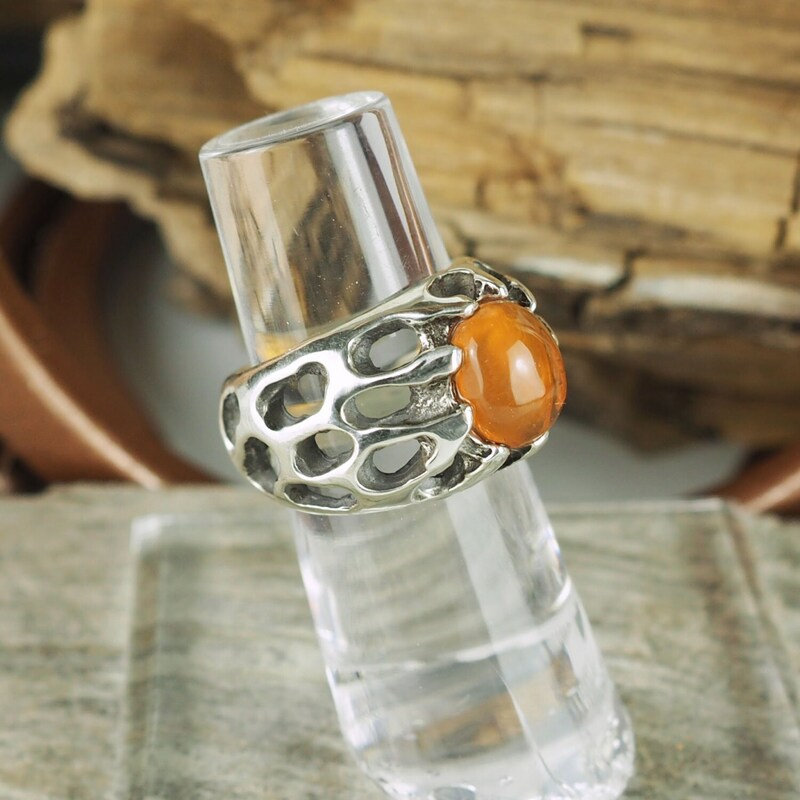 Sterling Silver Ring - Mexican Fire Opal Ring - Statement Ring: This stunning, sterling silver, statement ring features a natural orange Mexican Fire Opal stone. The large Mexican Fire Opal is 10mm x 8mm. 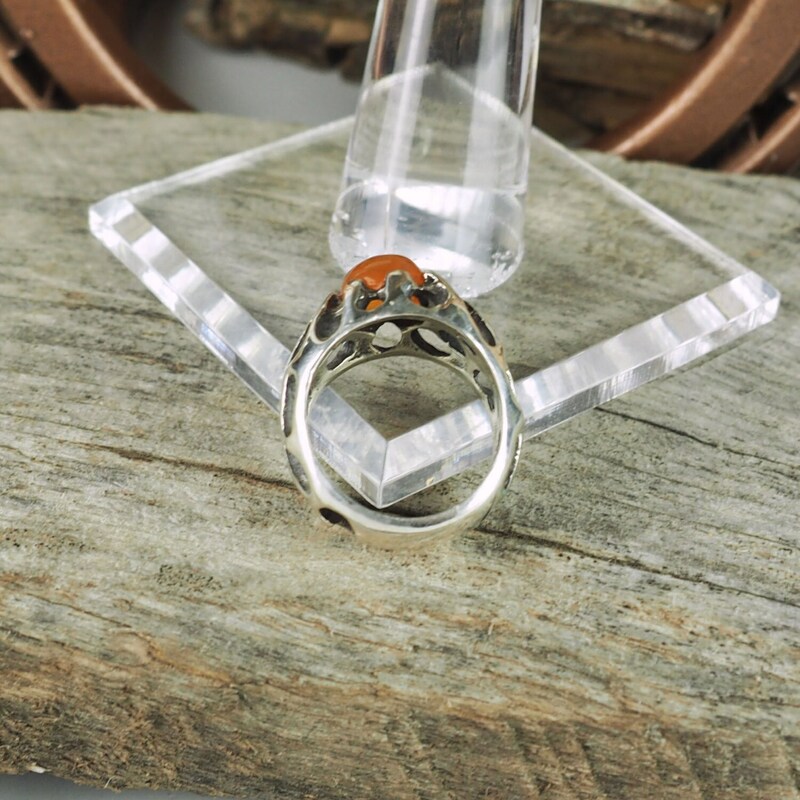 The stone was hand-crafted in our workshop in Montana from old stock that was still in the original mine bag when we purchased it! 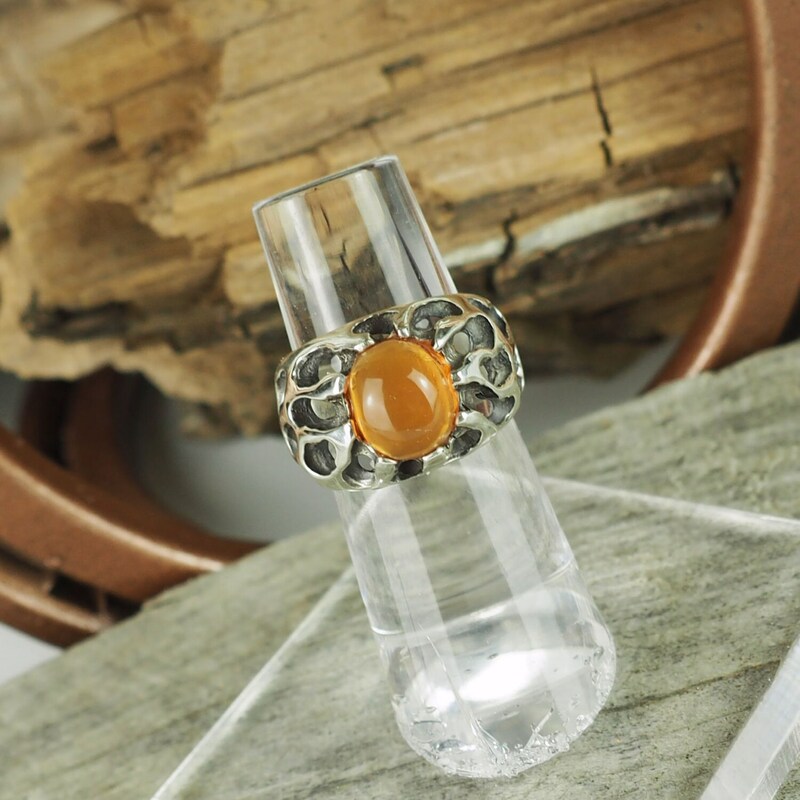 This ring has an "organic" look and feel, that really brings out the "Fire" in the Fire Opal! 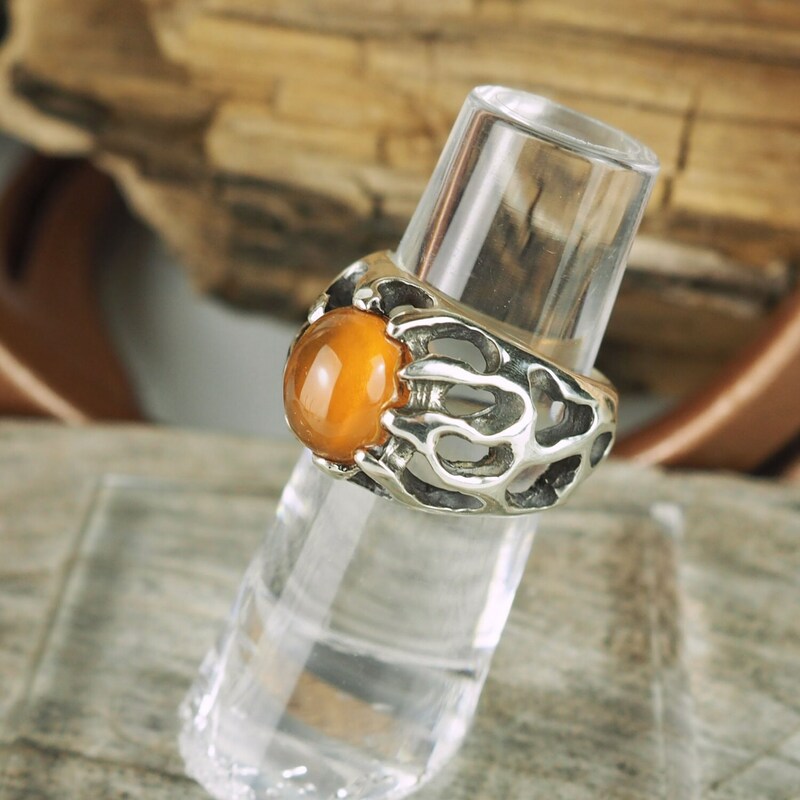 This hand made, one of a kind, ring will make an excellent gift idea! 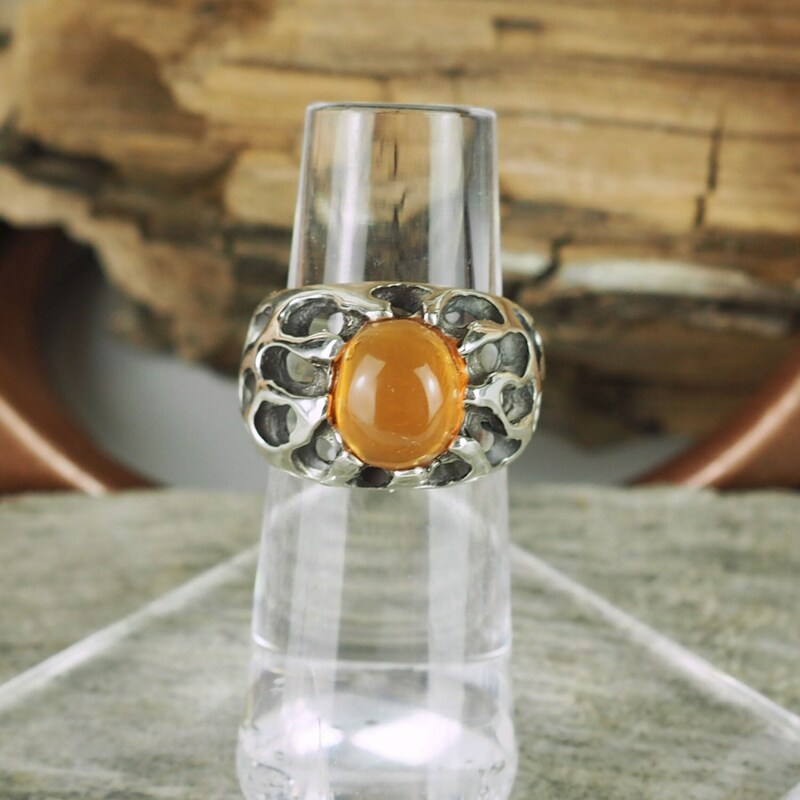 As with every ring we sell, we will ship your purchase(s) in an elegant gift box for no extra charge!